Parallel Eyes | | Sony Computer Science Laboratories, Inc.
What if we could directly connect our sight and share it with other people? Could we extend our embodiment? Complement our memory? And/or extend our perception? 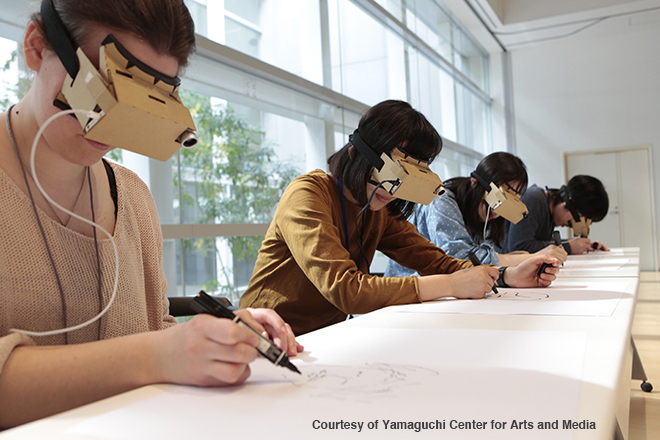 Parallel Eyes system is a technology probe for creating a mutual visual shared parallel experience. 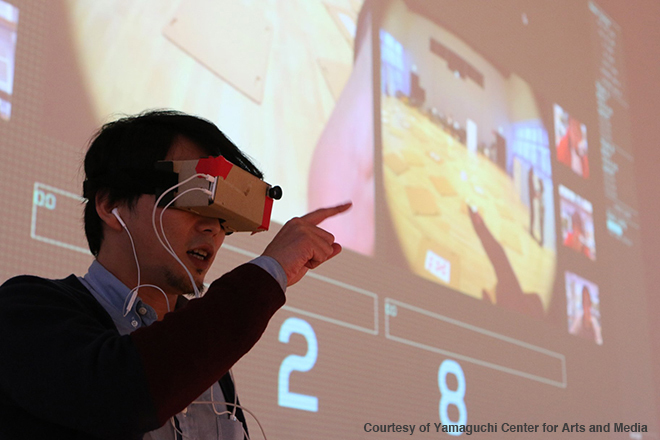 Users wear a head mounted display which shows shared videos of each other's perspectives as well as one's own perspective in realtime. For realtime observation, the reflection upon behaviors, and post analysis, we embedded a small IR camera and IR-LED into the head mounted smartphone goggles to capture the single eye image. Then we implemented an eye tracking system with standard computer vision pupil detection. This allows researchers and audience of the workshops to observe and interpret the relationship between behavior of participants and eye movement. Therefore, we can carefully observed what they do as they consciously and what is happening unconsciously. Can you draw "the Statue of Liberty"? without any hints but others perspective. No one would draw with complete confidence, even it's well-known landmarks or popular animals. However, if we could share our perspective each other, can WE draw it with OUR memory? Our researches revealed that participants referred to each other and complemented the elements of each other's drawings. I see that I am chased. We human usually have sense of own body with own perspective. However, what if technology one day connects our perspective each other, can we acquire and develop behaviors with new form of perspectives? We designed the ``game of tag" with Parallel Eyes in which participants play a simple chasing game in a specially designed field. 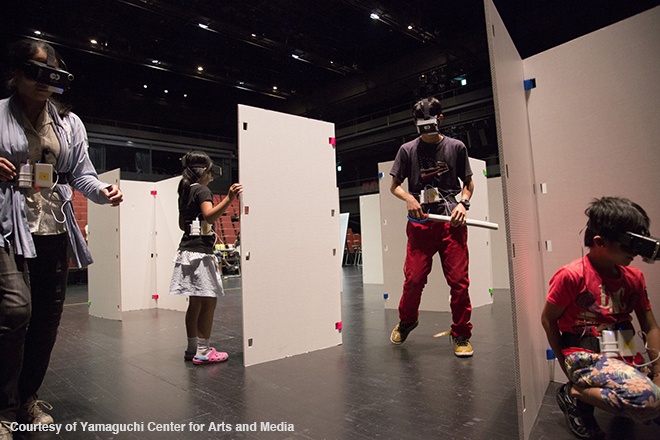 Observation of actual games revealed that people can develop their viewing behaviors to understand their own physical embodiment and spatial relationship with others in complex situations. We designed workshops to create a process whereby participants can become more than just passive bystanders to the changes wrought by technology. By enabling direct immersion in the development process, we hope to promote illuminating insights into the impact of new technologies, based on first-hand experience. It is often difficult to predict the changes that new media technologies will bring. We may anticipate greater convenience and enhanced capabilities, along with changes to the way we communicate and even an impact upon our privacy, but these can be accompanied by unforeseen effects—both positive and negative—on how we live our daily lives. We choose not to approach these unexpected phenomena from a position of pessimism, preferring instead to proactively bring future technologies under development in the lab to users as early as possible. This serves to cultivate an active, rather than passive, engagement among users when it comes to the process of change. We want people to experience first-hand the new human capabilities that technological progress promises and which we encourage them to explore, assess and discuss. 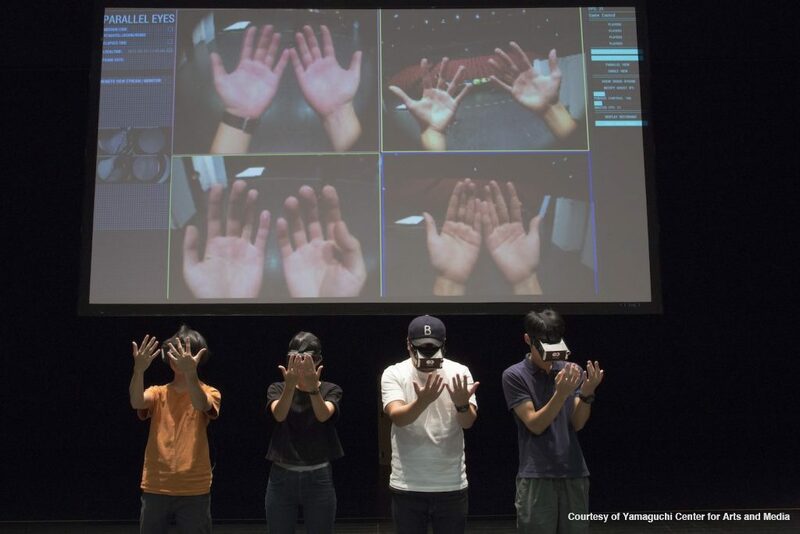 In order to promote that level of engagement between users and emerging technologies, in 2015 Sony　CSL and YCAM began a research journey from an inter-personal communication framework "JackIn" that is advocated by Sony CSL researchers. We combine the interactive systems and expertise in media-education workshop design, thereby creating a research platform that gives workshop participants the chance to experience and consider the enlightening effect of new technologies.